"Thirst is Swedish band Salva’s third release, but the first to be reviewed by DPRP, and follows four years after the well-regarded Left To Burn. It is released on the fledgling White Knight Records label, which is the brainchild of Rob Reed (Magenta/Tigermoth Records) and Will Mackie (Hoggwash/Caerllysi Music). The label promises more openness in dealing with artists, and should be one to watch in the future. Salva consists of Per Malmberg (vocals, guitars, keyboards, accordion, mandolin, and percussion), Johan Lindqvist (Keyboards), Stefan Gavik (Guitars), Lars "Lasse" Bolin (drums and percussion), Fredrik "Figge" Lindqvist (bass). The album kicks off in a big way with Exclamation Point. A lively burst of staccato guitar chords is backed by choral keys, and prepares the way for some potent, emotional vocals. In the middle we have a change of pace with a lovely instrumental interlude reminiscent of Credo or Grey Lady Down. Then we’re back to full speed ahead with a powerful melodic fuzzy guitar solo. We have a couple more mood changes, with piano and mournful vocals, before another guitar solo returns us to the main theme. This is a formidable opening track that sets out the intent for the rest of the album. Special mention must be made of the accomplished vocal harmonies in the chorus. If there is one track on this album that effectively showcases most aspects of Salva’s music, then Primoris Lugum is it. In part evocative of a European folk tune, part nursery rhyme, part Dream Theater riffing; in more enlightened times this would have ‘hit single’ written all over it. Well, maybe that’s going too far down the wishful thinking route, but there are hooks and melodies aplenty that will be echoing in your head long after the song has finished. But don’t take my word for it: the band has produced a video for this track, which you can check out from the samples link above. On Adjustment For All we get a four minute intro, which could stand as a piece on its own, before the vocals kick in. But instead, Salva tie it to a piece that consists of a standard song that is lifted to the heights by a haunting guitar solo. Towards the end keyboards dominate for a while, and there’s a beautifully poignant keyboard solo before the song leaves us with a wonderful screaming guitar, evoking memories of Trevor Rabin. For Can Of Worms we have a change of vocalist, with Stefan Gavik taking on the duty. A few simple, morose keyboard notes lull us before we’re hit with another heavy staccato guitar riff. The keyboard backdrop to the vocals calls Ayreon to mind, whilst the vocal harmonies on the chorus could be compared to early Pallas. After a synth interlude we’re back to the riffing, before closing what is the heaviest track on the album. The gentle, atmospheric start of Frost, with subtle guitar and stark piano notes, soon gives way to orchestral strings set against grinding guitar chords. Mid-way through we are treated to a Marillion-like keyboard solo before a more subdued, almost plaintive second half. The track ends on a calm, almost sing-song-like, guitar outro. The penultimate track, Losing Battle, is a complete change of pace; a piano ballad that wouldn’t be out of place as an Anderson/Wakeman interlude on a Yes album. Keyboard strings join in the latter part of what is quite a moving track. The closing song One Week is, at over 10 minutes, the longest one on the album, and is a fitting farewell. Apart from a chorus that will be resonating long after the album has finished, the track contains a Hendrixian (have I just made that word up?) guitar solo. All the elements that make up the preceding songs can be found here: mood changes, sweeping keyboards, lush vocal harmonies and impressive bass work. This is an album that is chock full of catchy melodies, melodic solos, and proficient playing by all concerned. Good, solid song writing and a set of songs that is just screaming to be performed live. Unhesitatingly recommended! Rating: 9 out of 10 - DPRP Recommended"
"Wonderfully played, intelligently constructed and exquisitely sung music. Oh dear! My bank balance is really going to suffer as a result of the albums I have reviewed this time, for here is another band that is new to me, and has two previous releases ‘A Handful Of Earth’ (2004) and ‘Left To Burn’ (2007) that I have a definite urge (even “need”) to add to my collection, on the evidence of what ‘Thirst’ has to offer…seven tracks and 55 minutes of tremendously engaging music. 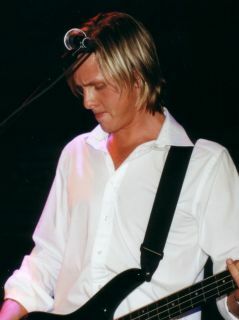 For those, like me, previously unfamiliar with this Swedish band, their Biog tells us that Salva was conceived by vocalist/multi-instrumentalist Per Malmberg and became a reality in 2003 when he and long-time friends, keyboardist Johan Lindqvist and guitarist Stefan Gavik formed the band. Johan’s younger brother Fredrick and Lasse Brolin completed the line up on bass and drums respectively to contribute to the second album and it is this quintet that have released ‘Thirst’. Salva is quite difficult to pigeonhole as to genre, so I am going to go for a broad brush approach and tell you that while they definitely fall into the progressive music category (and both the rock (more) and metal (less) varieties of this) they also have strong MHR, symphonic and folk influences, and what is, perhaps, more important that you know is that these are melded together quite seamlessly – and especially on the two longest tracks ‘Adjustment For All’ and ‘One Week’. While the technicality of prog metal and various time signatures are to be found superficially in both of these extended numbers, there is a palpable quality of a languid, flowing structure to the music too, and absolutely blissful lead and harmony vocals – a feature throughout the album. At 09:14, opening track ‘Exclamation Point’ is nearly as long, and here too one is struck by the way in which the various influences are combined into another wonderful, imaginative piece of music that seems to pass very quickly. 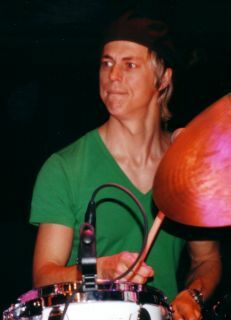 Two of the tracks actually do pass very quickly, for they are much shorter songs: the initially rather melancholy ‘Can Of Worms’ which has a definite nod in the direction of Threshold (and is sung by Gavik) and ‘Losing Battle’ a heartfelt ballad with predominantly a simple piano accompaniment. ‘Primoris Iugum’ has the most obvious folk-inspired qualities, and this is reinforced by Malmberg’s splendid Accordian playing. I fear it may not just be my own bank balance that could be significantly depleted, for here is another album that I have to heartily recommend to connoisseurs of wonderfully played, intelligently constructed and exquisitely sung music that cries out to be added to your collections…"
"Salva returns in 2011 with their third album, Thirst. The sound is more refined and focused than the previous two albums, and I think they’ve hit a high point in their career. This time around the music is heavier than the last album, Left To Burn, as well as more melodic in the vocals department. The band this time around consists of Per Malmberg (Lead & backing vocals, Electric & Acoustic guitars, Keyboards, Mandolin, Accordion, Percussion), Stefan Gavik (Electric guitars, backing vocals, Lead vocals on “Can Of Worms”), Johan Lindquist (Keyboards, backing vocals), Fredrik Lindquist (Bass, backing vocals) and Lasse Bolin (Drums, backing vocals). To refresh my memory, I went back and listened to A Handful Of Earth (2004) and Left To Burn (2007). You can hear the evolution of the band’s music on Thirst, which is my favorite of all their albums. Some of the highlights for me are the opening track, “Exclamation Point”, “Primoris Iungum”, “Can Of Worms” and the most straight forward & melodic sounding song on the album, “One Week”. If I had to recommend a starting point for Salva, it would be Thirst would be the one with no hesitation. I would also say to get the other two so to fully appreciate the evolution of their sound. Thirst is highly recommended to fans of modern Swedish progressive rock with a metal edge." "Swedish band Salva are back with their third release and follow up to 2007's "Left to burn". It has, in my humble opinion, been well worth the wait (even if one could wish for a shorter waiting period in between albums in the future). Salva's music is a rich, adventurous hybrid of symphonic prog, heavy metal, folk and even pop- rock in the Beatles-tradition. This album sees the band taking another big step in their musical development and it is nice to hear that "Thirst" incorporates even more heavy influences than on previous releases. Some of the riffs are really killer. The album kicks off with one of the album's heaviest riffs in "Exclamation Point". Nice interplay between riffing guitars and mellotron in odd time signatures. Intense and powerful vocals takes over in the verse with heavy staccato playing from the band. Salva's strong harmony vocals are introduced in the b-part/chorus, recalling the vocal-work of old greats such as The Eagles and The Beach Boys but set to a heavy, pushing pulse of intense playing. The song slows down after a couple of minutes in an atmospheric breather with arpeggio guitars and a soaring Moog-lead before taking off again with a melodic guitar lead set to arpeggiated synthesizers which kind of reminds me of Muse. More heavy riffing, a blistering guitar solo and some great vocal passages leads back to the main theme which closes the track. A great album opener! The second track, "Primoris Iugum" displays the folky side of Salva with superb accordion and mandoline-led themes that takes the listener in to a sparse verse with passionate vocals, acoustic guitar, upright bass and accordion. A heavy riff leads in to a richer part with guitars, hammond organ and harmony vocals. The song then settles down again to an atmospheric background with lovely counterpoint harmony vocals that reminds me a little bit of Gentle Giant. A downright folk passage with accordion, mandoline and tin whistle leads to a quick reprise of the heavy riff before settling in a mysterious almost arabic-sounding guitar theme set to atmospheric synths and interesting rhythm work from bass and drums. This leads in to a coda with acoustic guitars, warm hammond organ and more superb vocal harmonies in a counterpoint fashion. This section recalls Pink Floyd circa Dark Side-era. The track closes with a reprise of the folk theme. Lovely, rich, folky track that is also available as a music video on YouTube. "Adjustment for all" (Funny paraphrasing on "And justice for all") is, with its 12 minutes, the closest Salva comes to a prog epic on the album. The instrumental themes that fills up the first five minutes range from rich moog-themes to almost funky guitar riffing until it slows down in a presentation of the main theme with mellotron-flutes a'la "Strawberry fields forever" and acoustic guitar. The song goes in to a sparse ballad with nice piano work before erupting in a beautiful, melancholy guitar solo. The song shifts to more force again before halting in an eerie moog-solo over a jazzy setting of rhodes piano, bass and brushed drums. The song then moves over the main themes in order to conlude in a heavy retro-prog theme over-flowing with powerful guitars and mellotrons. This track is superbly adventurous and rich and is one of my personal favourites. Next we have "Can of worms". It starts with a chilling mellotron-cello which is quickly interupted by a heavy guitar riff. This brings more modern metal bands to mind. The lead vocals on this song are handed over by main singer Per Malmberg to guitarist Stefan Gavik who does a really good job as well. This track is a bit more straight forward with pumping guitar riffs and nice harmony vocals throughout. The chorus introduces some lovely high pitched vocals and the band even introduces some dissonant sounds which further broadens their sonical pallette. After an atmospheric interlude of evocative synthesizers, a blistering guitar solo over a fast paced riff increases the intensity for the closing chorus and ending riff. Really cool song in a heavy metal-vein. 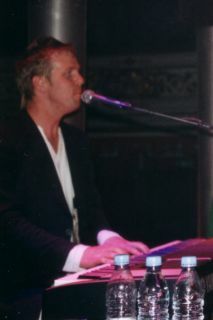 The fifth song, "Frost", is introduced by the bass of Fredrik Lindqvist resting on a bed of atmospheric synthesizers and an ominous grand piano. This song sounds really symphonic with heavy riffing guitars and lush classical strings recalling the sound of gothic metalbands such as Nightwish and Therion. The verse takes the intensity down a notch as a bridge to the softer, almost romantic b-part. After a second verse the riffing takes over again and leads the song in to an amazing synthsolo that continues over several different parts. The song then concludes, first in a beautiful coda with some highly emotional vocals by Per Malmberg set to arpeggiated guitars and atmospheric synthesizers and then in a peculiar melodic ending theme with rhodes piano, guitars and flute. Great song! "Losing battle" is something we've never heard from Salva before. It's a piano ballad with what seems to be a string quartet. Wonderful vocals from Malmberg with equally wonderful piano playing from Johan Lindqvist. This is the shortest track on the album clocking in at only 3:30 and works perfectly as a beautiful, romantic interlude between the longer, more proggy tracks. The album closes with the 10-minute track "One week" which starts with an arpeggiated electric guitar theme that builds with the rest of the band joining in as the theme progresses. The music continues with a rhythmic passage with a lovely moog lead until reaching the main guitar riff theme. The song suddenly breaks down in to an atmospheric soundscape that brings electronica and ambient music to mind which leads in to the first verse. Drums and bass join in a slow paced chorus that introduces Salva's trademark harmony vocals. After this the track picks up speed with a funky, almost bluesy feel with great riffing and Hammond organ filled with attitude. The song takes another turn when the tempo halts and goes in to a tight rhythmic theme with drums, bass and moog bass. Over this the soaring lead guitar of Stefan Gavik conjure up the ghosts of Jimi Hendrix and Eric Clapton. Great guitar solo! Via several different themes and passages the song concludes with the main guitar/hammond theme and ends with the lonely tones of a musical box which closes the album (which seems to be a Salva tradition). This album is simply amazing and Salva's greatest achievement yet. Can't wait for the next album. My warmest recommendations. Rating: 5 out of 5"
"Jedes Mal wenn Thirst ein weiteres Mal durchgelaufen war, hatte ich ein gutes Gefühl und Lust die Scheibe gleich noch einmal zu hören. Wenn ich mich dann an die Tastatur gesetzt habe, um meine Review zu verfassen, war der Kopf leer und ich konnte mich außer an das gute Gefühl nicht recht mehr an etwas erinnern. Das Problem von Salva ist also das Finden der einen oder anderen Hookline, eines Motivs, das Klick macht, oder sonst eines Catchers. Für eine Chart-Band wäre das tödlich. Zum Glück haben sich Salva in das progressive Feld begeben, in dem Fans leben, die gerne immer wieder Neues entdecken. Und die sind hier an der richtigen Adresse. Ihr „Thirst“ wird gestillt. Thirst ist ein Album mit toller Atmosphäre und viel Abwechslung. Die Highlights stehen strategisch gut platziert am Anfang der ersten und zweiten CD-Hälfte. Der „Exclamtion Point“ ist progressiver Hard Rock, der mit fast metallischem Druck kommt, aber auch sehr melodische Parts kennt. Super! In der „Can of Worms“ befindet sich ein groovender Rocker mit wildem Gitarrensolo und hymnischen Vocals. Stark! Über Ausfälle brauch ich nicht sprechen. Gibt’s nicht! Auch der etwas langweilige Gesang auf „One Week“ kann die schöne Stimmung der ruhigen Nummer mit viel akustischer Gitarre nicht stören. Stände „Primoris Iugum“ auf einem Blackmore’s Night Album, wäre es dort wahrscheinlich das Highlight – zumindest mit dem Anfangsteil, wo es als Akustik-Ballade die Grenze zum Kitsch deutlich besser meidet, als Mr. Rainbow und Gattin. Später wird es härter und erinnert dann an die Brasilianer Tuatha de Danann. Am Ende verliert es den „Renaissance“-Touch fast völlig und mutiert zur weichen Rock Ballade. Die weiteren Stücke sind eher ruhig und atmosphärisch mit gelegentlichen Schlenkern in folkige oder Heavy Regionen. Eine Band, die die Aufmerksamkeit von allen Proggies verdient, die auch mal ein härteres Riff vertragen. Rating: 15 out of 20"
"Quatre ans après "Left To Burn", Salva revient avec une troisième album qui pourrait réconcilier avec le groupe nos chroniqueurs des précédents opus qui, pour le moins, ne leur avaient pas fait une bonne publicité. Si, selon Corneille (l'écrivain, pas le chanteur) la valeur n'attend pas le nombre des années, la qualité peut s'améliorer avec le temps et Salva, sans révolutionner le genre, nous offre avec "Thirst" un produit très agréable à consommer. On retrouve dès le premier titre, "Exclamation Point", les travers évoqués lors des précédentes chroniques et notamment ce coté rétro qui donne aux compositions du groupe un petit air de déjà entendu. Mais le punch de groupe est communicatif et on se sent emporté par les déferlantes musicales jusqu'à un final qui fait bougrement penser à du bon ELO. Après avoir cherché pendant toute la durée de la première plage à quoi ressemblait ce chant riche, chaud, souvent en chorus, l'écoute de "Primoris Iugum" fait jaillir l'étincelle ! Ce second titre est très proche du son et de la qualité de ce que produisait Alias Eye à l'époque de "A Different Point Of You" et le son d'accordéon perçu çà et là ajoute à cette similitude. Les pistes les plus longues sont les plus inspirées de l'album et l'on peut ajouter aux deux pré-citées "Adjustment For All", "Frost" et "One Week" au rang des bonnes compositions. D'excellents solis de guitare ou de clavier viennent émailler avec bon goût ces titres entrainants servis pas une production de qualité. Les phrases musicales s'insinuent rapidement dans votre cerveau pour y résonner comme des mélodies qui semblent déjà appartenir à votre patrimoine rock personnel. S'il n'y avait une petit faiblesse au niveau des deux titres les plus courts ("Frost" et "Loosing Battle"), cet opus serait un sans faute, pas une oeuvre majeure certes, mais un ajout plus qu'intéressant à toute discothèque rock qui se veut éclectique et complète. En ce début d'année, faites vous plaisir en écoutant ce dernier album de Salva, si vous n'avez pas la pèche après ça, je rends mon tablier ! Rating: 8 out of 10"
"Auf ihrem dritten Werk „Thirst“ setzen die Schweden Salva den Weg, den sie schon mit dem Vorgänger „Left To Burn“ eingeschlagen hatten, konsequent fort. Die deutlichste Veränderung ist sicherlich der allgemeine Sound der Band, der sich zwar immer noch deutlich an den 70er Jahren orientiert, aber moderner, druckvoller, teils auch roher aus den Boxen knallt. Gleich der Opener „Exclamation Point“ setzt - ganz gemäß seinem Titel - Ausrufezeichen. Heftige Riffs, nicht ganz Black Sabbath, aber deutlich davon inspiriert, knalliger Bass, druckvolles Drumming, heulende Orgelklänge, Hard Rock-Shouter-Gesang, Salva legen los wie der Wirbelwind und kreieren einen der besten Hard Rock-Songs der Neuzeit. Nur um dann sogleich in folkige Welten einzutauchen und in „Primoria Ignum“ leicht tullige Gefühle heraufzubeschwören. Schließlich folgt mit “Adjustment For All“ noch das Opus Magnum, welches geschickt mit Hard Rock, Sympho-Prog und Neo-Prog-Ingredenzien spielt. So geht das immer weiter. Salva spielen auf „Thirst“ durchweg eingängige, meist mitreißende Songs, die immer wieder durch kleine Sound-Gimmicks, instrumentale Einlagen, sei es mal eine ungewöhnliche Basslinie, sei es mal ein kreischender Synthie-Lead oder eine jaulende Moog-Passage, und durchaus unerwartete Wendungen die Spannung aufrecht erhalten. Natürlich sind Salva deswegen noch lange nichts für Komplex-Fans, aber so ganz ohne sind sie eben auch nicht. Und ungewöhnliche Kombinationen wie Alternative Rock-Passagen, die sich schon mal in einen ELO-artigen Refrain auflösen, sorgen immer wieder für Schmunzeln beim Hörer. Band-Chef und Multiinstrumentalist Per Malmberg singt mit angenehmer, aber nicht allzu ausrucksstarker Stimme dazu. Kein großer Sänger, aber hier passt's. Auch Balladen haben hier ihren Platz und tröpfeln angemessen getragen und leicht melancholisch-traurig aus den Boxen. Abgerundet mit schönen Streicherarrangements, die trotz ihrer augenscheinlichen Synthie-Herkunft, sehr natürlich klingen. Im abschließenden „One Week“ erkunden Salva dann auch noch ein bisschen die Welten von Ambient und Elektronik, bis dann doch noch die Retroprog-Luzie abgeht. So ist „Thirst“ ein luftig-leichtes Hörvergnügen geworden, welches mit Wendungen an den richtigen Stellen gut zu unterhalten weiß. Vor allem dann wenn es mal nicht die ganz große, komplexe Anspruchs-Musik sein muss (ohne eben gleich in beliebigen Rock-Wohlklang auszuarten). Salva klingen überhaupt öfters eher nach amerikanischer Leichtigkeit, denn nach nordischer Schwermut. Hübsch! Rating: 10 out of 15"
The first song starts with a softly spoken intro over an ambient backing, which soon gives way to a punchy clavichord/electric guitar/synth driven track. The song is a mixture of rock and, to my mind, European folk. What is basically an up-tempo, up-beat tune belies the cynical tone of the lyrics. A very melodic track that is more folk than rock - one that will stick in your mind (in a good way) for many weeks to come. There’s a nice Wakeman-esque keyboard break in middle, and a superb guitar solo near the end. The words are sung in Swedish, and although I’ve no idea what they’re about, they seem to fit perfectly. A gentle introduction, with the sound of children playing joined by, of all things, an accordion. This is replaced by a heavy guitar/keyboard riff signalling a heavier track with great keyboard and guitar work. At almost 11 minutes long, this piece is so skilfully put together that there is not even the merest hint of it out-staying its welcome. A special mention should be made of the lyrics, whose theme should resonate with many of us. This track begins with a guitar-driven theme reminiscent of Yes’ ‘Shock to the System’. The vocals are exceptional here. The song has a very catchy chorus, and as a special bonus there’s a Hammond organ solo in the middle! Folksy acoustic guitar is joined by the mellotron on a gentle, floating melody, which then gives birth to a heavier, slightly darker theme. There’s a wonderful guitar solo before the keyboards, acoustic guitar and mellotron close out what is a very accomplished instrumental track. Starting with the whispered accusation; “unforgivable”, a middle-eastern acoustic guitar theme is pushed aside by a Dream Theater style riff. Vocals are drenched in melancholy, but are saved from becoming overly oppressive by some nice guitar interplay. The track is rounded off by a superb wah-wah driven guitar solo. For me, this track is the one most reminiscent of the work on the first album. At around 10 minutes long this is one of the three longer tracks on the album, which gives plenty of opportunity to explore the various musical ideas present. Plaintive vocals are set against some superb instrumental work for an impressive album closer. In summary, the combination of folk, metal, and symphonic rock on display here, played with great skill on traditional, classic and modern instruments, creates a sound and feeling that is unique to Salva. I was impressed by the first album, but this is a true evolution. Very highly recommended - in fact, I believe it’s an essential purchase!" "Follow up to "A Handfull Of Earth" (2004), their second release "Left To Burn" is an amazing album. SALVA is hard to pigeon hole; many genres of progressive rock including folk with strong JETHRO TULL influences, hard rock/heavy metal of DEEP PURPLE and URIAH HEEP and symphonic (nice WAKEMAN-esque keyboard breaks) with some great vocals/harmonies. It is a great skill played on traditional, classic and modern instruments. In fact, it's an essential purchase from a brilliant band...! My discovery of the year 2007...!" "Salva returns about three years later with their sophomore release, Left To Burn, and one thing I noticed is the music is more focused and heavier than their debut Handful Of Earth. I’ll say this before I continue that Salva is one of the better modern Swedish progressive rock bands. They stay true to the progressive ways of the 1970’s as well as the modern sounds. One band that Salva truly reminds me of is, Trettioåriga Kriget., mostly from the guitar driven sound. All of the songs are sung in English with the exception of "Ord Ver.2" which is sung in the band’s native tongue. This song reminds me of how Trettioåriga Kriget sounds. Some of the changes I hear on this album are the vocals and percussion have improved greatly. Also the use of tradition prog instruments are present here, such as Mellotrons, Moogs and Hammond organ. Along with mandolin, flute (samples) and French accordion. Left To Burn will please both old and new fans of symphonic progressive rock with a hard edge. Left To Burn is a very recommended release of 2007 and one of my favorites of the year!" "Swedish band Salva return with their second release Left To Burn which is the follow up to A Handful Of Earth. Salva mix many genres of progressive rock including folk, metal and symphonic. This release has 7 tracks in all with two just over 10mins in length. There are some great keyboards by Per Malmberg and Johan Lindqvist including Mellotron, Hammond Organ. There is even a bit of accordion thrown in. The guitar playing by Per and Stefan Gavik, on this CD whether it’s the mandolin, acoustic, rhythm or solo is of a high standard. Within songs there appears to be an acoustic folk theme going on then it changes into a much more heavier guitar sound, it is a great mix of traditional and modern music. No Greater Wrath – An ambient (another favourite music genre of mine) feel to the start of this track before it explodes into punchy guitar riff over a great keyboard melody. Nice lead guitar throughout this track. Maybe the drums are a bit to the fore, but that is the only criticism of this track. Folk/Rock/Metal/Symphonic music all going on in this track. Nice mix of instruments for the main melody, guitars, keybards, accordion played at various parts of the song. A great opening track. Ord Ver. 2 – What can I say, my favourite track on the whole album. It is the only song sung in Swedish on the CD. It is a beautiful track, it has a great melody and it has that great mix of folk and metal and there is a superb guitar solo near the end. This is one outstanding track and could be their big number when playing live. A Dying Rose – Again a quiet start but then the great mix of punchy guitar with keyboard brings the song to life. The chorus is very catchy, the lyric ‘I question you’ sticks with you. Again some fine keyboards with a great guitar solo. There is a slight musical interlude about 7mins in, with what sounds like some male church choral voices, and some vocal overlays, the track then explodes into the main melody once more with superb guitar work, with keyboards in the backgrounds. One of the over 10mins tracks. Clara Leaving – Dare I say there seems to be a blues rock theme going on at the start of this track. Nice melody and some vocal harmonies going on throughout the track. Hammond and mellotron work really well on this track, giving the track a lot of depth. A fine track. Aska – The only instrumental track on the album. Melancholic sounding track that meanders along, like a small tributary of a major river. Mellotron leads into a slightly more upbeat about half way through the track. This then calms down into a similar melancholic sound that is at the start of this track, although the music breaks into a smile near the end of the track, with a nice change of melody. Stained – Another gentle start to this track, feels very far east type music. Then into a heavy guitar riff that any hard rock/heavy metal group would be proud of. I am sure I can hear a sort of stoner rock riff later on, wow is there no bounds to what this group will do with the music. This is definitely one of the heaviest tracks on the CD. Great guitar solo using wah wah pedal to great effect. There are some lyrics but they are short within this track. Underneath – Bright start to this track that slows down. The last track and they go and change the format of previous tracks. That’s the beauty of this band, you don’t know whats coming next, it certainly keeps your ears alert. Folk sounding track, with the now familiar heavier guitar and keyboard interludes, vocals are very nice. This is the 2nd of the 10min tracks and a great end to a great CD. Well there we have it, Salva’s second release. Salva have such a great range of musical styles on this album. The mixture of traditional and modern instruments works really well and they integrate them so nicely into the music and I think that it brings a nice fresh dimension to the music they produce. The songs are well constructed and flow very nicely in and out of light rock/folk then heavy rock. Also a word of note on the artwork on the cover of the CD, it was done by our very own Tonny Larsen of ProgPlanet, he failed to mention that in his review I notice. He is just too modest. Well done Tonny, the first of many I think. Left to Burn was 3 years in the making, lets hope that Salva don’t leave it that long again to release their 3rd CD. "Yes I'm giving this 5 stars too. A stunning piece of genius. Quite simply this is the best album I've heard in a a long long time. Imagine all of your favourite Prog, Rock and Metal bands rolled into one. The influences here range from King Crimson to Deep Purple and the likes of Uriah Heep and even ELO. Just listen to the riff on 'Clara Leaving' and you'll hear something that Deep Purple at their finest wouldn't have any trouble recording. they've actually made THAT hammond sound contemporary - amazing. This album transcends the gap between 70's old school and the neo Prog of the 90's in one big happy slice of your favourite cake. Only trouble is, like your favourite cake, there isn't any more. Go and buy. If you don't you'll never forgive yourself." "Salva's sophomore release is a clear statement of the band's increasing musical maturity. It's more refined than their debut, and the band has apparently found its niche. Left To Burn is more focused and refined, and the instrumental and vocal performances are measurably enhanced - but you won't find quite the devil-may-care variety we saw in A Handful Of Earth. Imagine third-wave progressive rock with strong Jethro Tull influences and a strong 1970s prog influence and you'll have a good idea of what to expect. The lineup is the traditional rock ensemble, but the fact the band is now a quintet rather than a trio also plays into its more established sound. Rich textures are added by 'Trons, Moogs and Hammonds, mandolin, flute (samples) and French accordion. Band leader Per Malmberg's vocals remain the defining characteristic of Salva's music. They will find limited appeal with some listeners, yet for others, they will be the standout feature. His delivery is in a strong Ian Anderson-styled mid-range - albeit with a somewhat different timbre - and the vocal lines are typically pushed way in front of the mix yielding a sound that stops short of strident but certainly demands your attention. Malmberg's rich tones are best appreciated when held back in the mix, or when leading multi-part choruses such as those in "Clara Leaving". Love them or hate them - his vocals lend Left To Burn a folksy tone that, despite the relatively straightforward lyrics, will be appreciated by fans of acts like classic Jethro Tull or the more contemporary Guy Manning. The lyrics are all in English, except for "Ord Ver.2" which is an interesting Swedish-language piece - very melodic, nice instrumentation, and the foreign language prose has a pleasing lilt. "Stained" is far heavier, although it has a soft undertone. It's mostly instrumental but whispered vocals are pushed to the front of the mix and it closes with a big wall of sound led by a guitar solo and an interesting staccato bass-and-male-chorus motif. Quite fun. "Aska" is a 9+ minute all-instrumental track that starts with a relaxed acoustic guitar, soon enhanced by a flute and 'Tron that introduce the theme, then it settles into a series of pleasing, head-nodding sections in which each instrument takes its turn in the lead role, building on an essentially simple but pleasing theme. Tight and nicely constructed, this piece has an elegantly simple appeal and is probably the standout track. Left To Burn will have equal appeal to fans of modern-era third wave and to those who preferred mainstream '70s prog." "Finally a new album from Swedish progband SALVA! It has been almost 3 years in the making (in which Malmberg painstakingly...re-arranged / re-mixed / even re-recorded) but now it finally sees the light of day! And it really is my pleaseure, to tell you that our dear Swedish brothers, did good, bar one track!! First of all, you have to acknowledge Malmberg (& Co) for taking the time to make it right! The easiest thing would be to just chuck it out there, that follow-up album! But no, Malmberg being the perfectionist he is, would have none of that! So hats off to you Per!! Now back to my sentiment: “Bar one track” and this is difficult for me, since Salva (and Per in particular) have become dear friends of the “house of Progplanet”. So here goes: I dont like the final mix on: “No greater wrath” it seems to me that the drums are weak in the whole (music) picture, as it were!! The intro are just fine, with vocal voice-over and the following theme played superb, but the drums sound quite “tin-canny” and weak, lacks the power that this track needs!! For this is initially a great track!! That said, im just a reviewer, Per´s the musician/composer and he has done what he thought best for the band and the sound as a whole!! Music wise “No greater Wrath” are a superb track! With the unmistakable brilliant guitars (both electric and acoustic) of Malmberg/Gavik, plus the always present folk mood that seem to intervene (meant the most positive way) in his (Malmbergs) compositions!! folkish/progtune...with a nice build-up..and the native tongue suits the music perfectly, broken with a little synthesizer solo/ and guitar ditto!! Oh and its nice to hear a guitar solo with wah pedal!! A fine track!! get to be quite haunting/ earhanger wise, after several listenings!! “Clara leaving” brings forth a tight rhythm theme until the B-piece, delivers a fine multi-vocal ridden section! Things change (again) with a superb Hammond solo leading into several breaks and twists (including mellotron) ...a true folk/ progressive track! “Aska” starting off with brilliant acoustic guitar and mellotron, gliding into a soothing beautiful theme that even Tull would be proud of. Then suddenly a mellotron solo opens for a more tight/heavier theme that leads to a superb guitar solo, so this fine instrumental track are really magic!! “Stained” are the heavy track on this album! But still with folkish leanings. Suddenly a slow theme, creeps up on you...with an almost whispering voice, telling the story! Wow, here it is again that fabulous wah-pedal soloing!! The whole thing ending with powerchords, superb track!! “Underneath” a true Salva tune, with all the leanings that yours truly mentioned earlier, a bit folkish, a tad rock and some really fine musiciansship, this track shines as true folk/prog, with fine acoustic interludes! This is fine scandinavian folk/prog in excellent tradition. And the choral voices are a great input!! So, do I like the new Salva? Oh, yes i do, I think its a fine piece of work/music! "Salva's long awaited second album, "Left to burn", is finally out and I'm happy to say it has been well worth the wait. They have even exceeded my expectations with this new release. I was a big fan of their first album, "A handful of earth", and have been waiting anxiously for the follow up. The rich symphonic prog with folk and metal-leanings is still the foundation for Salva's music but they have evolved and refined both their sound and their compositional skills since the debut album. This is noticable (at least to my ears) throughout the album. I have a hard time picking out favorite tracks but if I was forced I would say; "Ord ver. 2", a beautiful folky song with one of the best guitar solo's I've ever heard from Mr. Gavik and lyrics sung in Swedish as a one-off; "A dying rose", one of two "epic" tracks on the album where the variation is quite superb, still it remains cohesive throughout the entire song; "Stained", the heaviest track on the album with haunting, melancholy and almost whispering vocals by Mr. Malmberg. To sum things up; I would say that this is symphonic prog at it's best and I give it my warmest recommendations." "Like others who dig Salva I’ve waited a long time for “Left To Burn”. And let me say up front that is has been well worth waiting for. A great second release from a band that sounds like no other bands around & have a unique way of composing their blend of progressive music.” If There Is A Will, There’s A Way They Say”. This line is taken from the last track “Underneath”. And it says it all, I think.!?! About Salva & especially Per Malmberg. Hats of to Per who have worked so hard to find the approach/sound he wanted so badly for “Left to Burn”. Just imagine sitting there with an album ready to ship, not liking it and doing it all over again? To me it shows not only an artist that search for perfection, but also an artist who has guts. Sailor song/tune then suddenly Pers great guitar riff, a nice keyboard takes over the track. A very hard rock sounding track with some progressive tendencies and some great vocals/harmonies. “Clara Leaving” is hard progressive piece, with Kansas alike vocals/harmonies and ends with the most wonderful sounding Hammond solo and Mellotron. Again Pers guitar sound/soloing is amazing and very heavy.”Aska” is a fantastic mix of acoustic guitars en masse and great synth/keys/Mellotron sounds. It has a wonderful folksy fell to it, almost like listening to some kind of magic being produced.” Stained” is without any doubt my fav. track of all. A very Salva sounding track; heavy and pushy, but still with that wonderful folksy fell to it (in the back of the mix). The vocals are superb and it all ends up in a fantastic power choir. Superb track, really. Last track “Underneath” again a very Salva sounding track. A sound that I adore so much. With heavy keyboards, Pers fantastic guitar/soloing/riffs. Ad to this a gentle and emotional (very simply sounding) piano. The vocals/choirs are outstanding. A great and very heavy progressive folk piece that some times slow down and do it with much beauty. imagination. A great cover done in the mind of 2 people who actually never met “in the flesh”, but simply “talked it over” by E-mail. Fantastic I think!?!" "At times it is hard to remember that this is just a 3-man outfit. But the fact that Salva is the musical collaboration of 3 childhood friends, under the guidance of Per Malmberg, doubtlessly contributes to the musical cohesion and to the way each contribution complements the other. A Handful Of Earth is Salva’s debut album. The band’s strength lies in its instrumentation and – particularly – in the variation from song to song. There are ballads, pure jazz, hard rock bordering on metal, and even some folksy moments; and above all it is wrapped in a cloak of pure modern progressive rock. Malmberg’s sense of melody is excellent, and Salva manages at once to build simple melodies into big sounds, and to break big concepts into simple verse. The songs are richly structured with bold shifts and bolder mood swings, the walls of sound on some tracks are huge, and the instrumental and sonic variety would suggest a far bigger ensemble. Listen for the elegant xylophone that closes out the CD at the end of “Gone”, or the uplifting, lilting riff that starts the same track. Listen to the guitar and keyboard solos in “A Thousand Deaths”. The accordion, the mandolin, the cello patch on “Rain” – all contribute to a well textured body of modern progressive rock. Per’s vocals may or may not have universal appeal. His singing is in a rich, mid-tone delivery with limited range, that lends itself to clearly enunciated lyrics. Which is lucky, since the self-manufactured CD does not include the words – you’ll have to listen carefully for them, or go to their web site which lists them in a very readable format. Salva’s music addresses some big themes but the prose itself could stand refinement and a few passages may leave you with the impression that the words were an afterthought, and were forced into an established instrumental layer. “Faith Versus Reason” is an exploration of the concepts behind religion that recalls Jethro Tull’s Aqualung. (Per makes no secret that ‘Tull is his favorite band.) “Never Again” is a somewhat self-righteous, but understandably earnest examination of a child killed in a racial war. Other themes examine loss, loneliness and self-examination, and the standout track is the 9-minute “A Thousand Deaths”. This track looks at the inner struggle to overcome one’s cowardice. It is very strong musically, starting with powerful metallic riffs, a pondering, heavy beat and layers of hard-edged Hammond-driven keyboards. It shifts into an elegantly progressive, classically tinged instrumental section driven by piano and orchestral-sounds, and it ends in a surprising soft-jazz section that extends the piece’s themes and takes them as far from metal as you could possibly get. And as diverse as that all sounds, the piece remains cohesive throughout. You could easily justify the purchase of A Handful Of Earth on this song alone. "For people who like their Progressive Rock with a strong sense of melody, and a band that plays with understated virtuosity, Salva's CD A Handful Of Earth is bound to please. The CD starts dramatically and introduces many of the elements that typify the band: big chunky guitar riffs, textural keyboards, strong assured vocals, and a real sense of drama and pacing. Songs like "Never Again", A Thousand Deaths" and "Land of Obscurity" derive a lot of their energy from metal-ish guitar figures and hard-rocking organ, but almost always gracefully yield to more sparse verses where the subtle keyboard textures of Johan Lindqvist and Per Malmberg really shine. Adept at arranging, the band often juxtaposes these sparse sections with others that are lush and symphonic. The band's strong confident playing never overshadows the songs, but nevertheless, they are able to let loose when needed. In "Land of Obscurity" guitarist Stefan Gavik really shines, and keyboardist Lindqvist turns in a number of excellent solos (the one in "A Thousand Deaths" being my personal favorite). Throughout, vocalist Per Malmberg delivers a stellar performance, at turns powerful and ballsy, then angelic and uplifting (especially in the gorgeous mid-section of "Faith Versus Reason"). He is the band's songwriter and blends all the different stylistic elements seemlessly. What seems like a Malmberg trademark is the overt melodicism, mixed with a real penchant for strong instrumental riffs. His lyrics are earnest and sincere, but never self-concious, and he is not afraid to tackle big themes ("Faith Versus Reason"), quirky pop ("Trick Of The Century", which in my buddies words is "the most upbeat and happy use of 5/4 I have ever heard") or even swingy jazz (the last part of "A Thousand Deaths"). As soon as I heard the opening tune, I knew I was going to like this band, but recently I find the last song, "Gone" to be my favorite. It features many of the same elements as the other tunes, with it's metalish guitar work and symphonic-styled keyboards, but in this tune, the band seems to stretch out more and plays with a little more dissonance. It is a beautiful contrast to the rest of the CD and makes an excellent closing piece. All in all A Handful Of Earth is a class act. From it's evocative and moody art-work to it's clean, spacious production and tight, well-arranged songs, this CD is highly recommended." Heavy. Melodic. Pounding electric guitars. Acoustic beauty. Bombastic synth runs. Sweeping organ waves. Powerful vocals. Emotional singing. This is a band that has it all. This is what modern progressive rock is all about. Salva is a cross between symphonic prog ROCK, neo-prog, prog metal and art rock with an originality that is undeniable. I hear some techno influences every once in awhile in the synths and drums (similar to Ankh) but the guitars are almost always powerful, close to progressive metal and when they are not they are acoustic and beautiful with high emotion and feel. The melodies are everywhere. The songs are perfectly crafted. Each song is different than the other and a great pleasure to listen too. SO much to hear in each song. Constant yet always changing. My friends, this is seriously one of the best progressive rock albums of the new century. This music will NOT be heard enough. So many of you will never hear this album and that will be a shame. I am so happy to have this CD and hope that all prog fans can hear this one someday. Buy if you can find it. This is special. 5 stars. For real. Amazing music. A remarkable album sees the light of day. This is a great debut from Sweden under the name of Salva. I’m really impressed and pleasantly surprised. There are powerful chord structures...there are jazzy influences (track #3)...there are beautiful folkish arrangements a la Tull...there are great and furious guitarsolos. The keyboard themes sometimes remind me of Kayak. The only "weak" point is...(sorry Per) the vocal which at best..are reciting the lyrics. Anyhow the music shines...and the compositions are brilliant. These guys know their way around their instruments!! So...in all I’m proud to say that these Swedes know their stuff!! If you are into prog...with a taste for the early seventies..this one’s for you. Do not hesitate...GO BUY THIS FABULOUS ALBUM !!! "It’s generally believed that most bands improve in their releases after a debut album. If this is to be true with Salva, then this is a band that will have to be watched carefully in the future, since what we have here is a really solid debut album. 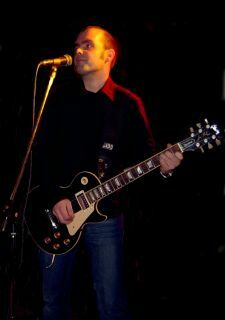 Salva’s music is the result of a combination of many different styles: mainly keyboards- dominated symphonic rock, but you can also find here some hard rock (two out of three members of Salva mention Black Sabbath as one of their favourite bands), folk influences, and the occasional jazz part. For me, the summit of the album is the track “A Thousand Deaths”; if played at the appropriate volume, this song can finally convince your neighbours that you are suffering from some kind of schizophrenic syndrome, if you know what I mean (how can this guy be listening to so many different musical styles at the same time?). The cons? Well, for me the main one (maybe the only one that I’m aware of) is that I find the programmed percussion rather weak throughout the album, and I think they would greatly benefit from the inclusion of a drummer. "A Handful Of Earth is Salva’s debut album. This band is clearly again what I call a modern progressive rock. 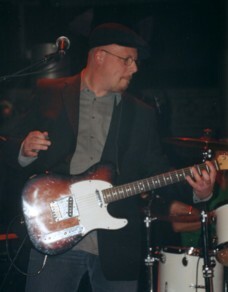 The band which is a trio led by multi-instrumentalist and vocalist Per Malmberg. Salva can’t really be categorized easily due to the variation of the music that cover ballads, jazz, hard rock bordering on metal, as well as some folk. Two minuses for me (and they’re not enough to deter my enjoyment) are Per’s vocals, which take some time to get used to. He doesn’t sound like anyone and to me that’s the plus side of things. The other minus is the percussion. I’m not sure how it’s done but there’s a electronic cold sound to it. I hope they’ll add a drummer for future releases. Salva is a band that should have a promising future and gets a recommendation from me as a band to look out for. Help support independent progressive music and purchase a copy of A Handful of Earth soon. This is some good music here that you’ll enjoy the music for months and years to come." "I consider Per Malmberg to be a friend, but I promise to be brutally objective in my assessment of his band’s debut CD. The lasting impression left on me by A Handful Of Earth was the variation. There are ballads, pure jazz, hard rock bordering on metal, and even some folksy moments; and above all it is wrapped in a cloak of pure modern progressive rock. Malmberg’s sense of melody may be his biggest strength, and Salva manages at once to build simple melodies into big sounds, and to break big concepts into simple verse. Per’s vocals may or may not have universal appeal. His singing is in a rich, mid-tone delivery with limited range that lends itself to clearly enunciated lyrics. Which is lucky, since the self-manufactured CD does not include the words - you’ll have to listen carefully for them, or go to their web site which lists them in a very readable format. Salva’s music addresses some big themes. There’s an exploration of the concepts behind religion in “Faith Versus Reason” that recalls Jethro Tull’s Aqualung. (Per makes no secret that ‘Tull is his favorite band.) “Never Again” is a somewhat self-righteous, but understandably earnest examination of a child killed in a racial war. Other themes examine loss, loneliness and self-examination, and my favorite is the 9-minute "A Thousand Deaths." This track looks at the inner struggle to overcome one’s cowardice. It is very strong musically, starting with powerful metallic riffs, a pondering, heavy beat and layers of hard-edged Hammond-driven keyboards. It shifts into an elegantly progressive, classically tinged instrumental section driven by piano and orchestral-sounds, and it ends in a surprising soft-jazz section that extends the piece’s themes and takes them as far from metal as you could possibly get. And as diverse as that all sounds, the piece remains cohesive throughout. You could easily justify the purchase of A Handful Of Earth on this track alone. So Salva’s strength lies in its instrumentation, and it is sometimes hard to believe that this is just a 3-man outfit. The fact that band members are childhood friends doubtlessly contributes to the musical cohesion and to the way each contribution complements the other. The songs are richly structured with bold shifts and bolder mood swings, the walls of sound on some tracks are huge, and the instrumental and sonic variety would suggest a far bigger ensemble. Listen for the elegant xylophone that closes out the CD at the end of "Gone," or the uplifting, lilting riff that starts the same track. Listen to the guitar and keyboard solos in "A Thousand Deaths." The accordion, the mandolin, the cello patch on "Rain" - all contribute to a well textured body of modern progressive rock. In summary: A Handful Of Earth’s biggest strengths are its variation, wonderful melodies, excellent arrangements and the bold attack on big ideas. It is successfully ambitious, and although it isn’t perfect, it is a remarkable debut." "I am not going to disagree with my co-reviewers. Think Arena meets Crash Test Dummies, chuck in a bit of Purple, Kayak and an smattering of jazz (don't let that put you off btw) then you have almost got Salva. I was surpsised to see they were Swedish - and that almost put me in mind of the more folky elements of Lake of Tears' work. This album has everything you could want in a Prog LP riffs, keys aplenty, atmospherics, fine vocals, harmonies....ach it's all been said, and I can't really add anymore. Yes point taken about the drumming, but I thunk only old father times (like me) will notice the absence of a live human behind the drunkit here. My only gripe is why do they call themselves Salva ? Sounds like a cold-sore cream !